If you are sitting the WSET Level 3 Award in Wines and need online resources to help you pass, we are here to help. We have gathered all the information we can that may assist you in your studies, including podcasts with interviews and key course material, examiners reports and links to other online resources. While we would like to say that passing the WSET Level 3 could be put down to your tutor, at the end of the day, passing is more down to you, the student, than your tutor. The WSET course book "Understanding Wines: Explaining style and quality" contains all the information required to pass the course. However, using the study guide and specification and knowing where the marks are awarded can help students to maximise their grade, moving up from a Pass to a Pass with Merit or Distinction. The following sections contain all the latest information to help you pass your Level 3 exam with flying colours! While popular, this course can prove too intense for some people. You can cover all the material but you must study each evening and risk studying with the effects of residual alcohol in your blood from the tasting that day (even when spitting, the body absorbs alcohol from your cheeks). We (Chris & Jane Scott) did of course spit when we did our WSET Level 3 over 5 consecutive days and it was tough. Best for those who are in a hurry and can give 100% focus to the course. Make sure before the course you have read the entire text book and have done most of your study before starting the course. This is the ThirtyFifty preferred way of presenting the Level 3 course material. 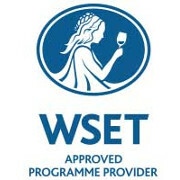 The WSET recommend that you study for a minimum of 84 hours study to successfully complete the full programme. The hours will usually be a combination of tutored study and private study time. They recommend the teaching delivery time is not less than 28 hours. ThirtyFifty's course timings are from 8.45am to 5.30pm on 5 Saturdays or Mondays, once a week. The Systematic Approach to Tasting is an essential document to prepare you for your first tasting exam. Get the WSET Level 3 SAThere. The WSET require specific language when writing a tasting note. It is essential that you use this language and comment on all parts of the SAT. The minimum home study time that the WSET recommend is 54 hours. We recommend the following study planning. The Specification document is your friend. Use the learning outcomes as a check list to make sure you have focused your study on the most important areas. For the Chapter(s) you are about to cover we recommend the active learning process below. In the specification read the learning outcomes for the Chapter of the course book you are reading. Go through the book rading and highlighting the learning outcomes. Quickly skim read your highlighted sections. Test yourself on our multi-choice questions for each Chapter. For questions that you are not sure about, try to find the answer in the course book, highlighting areas in the book that your answers came from. Check your answers and double check any incorrect answers. Before each Chapter in class, check what the learning outcomes are. Attend class with a focus on the key learning outcomes. Make some study notes from the slides in class and your highlighted sections in the book. Check your notes cover all the learning outcomes. Re do the multi-choice questions under exam conditions at home. Attempt the short written answer questions, afterwards, make sure your notes cover the answers. The exam comprises two units. Unit One - The Theory of Wines of the World. Unit Two - The Analytical Tasting of Wine. You must pass both units to gain the Level 3 certificate, however, if you fail one paper you only need to re-sit the failed paper. The Theory of Wines of the World is divided into two parts. Part One comprises 50 multi-choice questions which will assess your knowledge and understanding across the the subject. Part Two is a paper requiring short written answers consisting of four questions, each worth 25 marks. The paper is 2 hours long, with a pass mark of 55% required in both parts to achieve a pass. This consists of two blind wines where you will have to use the Systematic Approach to Tasting. The paper is 30 minutes long, with a pass mark of 55%. Below are the results you can achieve and the marks required. We have written over 500 WSET L3 Exam Practice Questions. Some can be done as you do the course, others are more exam-like, with a mini exam on approximately two fifths into the course for you to get a feel for exam style questions. Once you have completed your exam prep, you can try a mock exam at the bottom the Question page. Make sure you have plenty of time to learn from the types of questions to improve your study. The Unit 1 exam comprises 50 multi-choice questions and four short written answer questions, all within 2 hours. The multi-choice questions are worth one mark each and the four short answers are worth 25 marks each. You should allocate approximately a third of your time or 40 minutes to the multi-choice paper and 20 minutes to each of the short answer questions. From experience, students who have adequately prepared and are used to sitting exams can finish the Level 3 exam on time, so timing is not normally an issue. However, if it has been a while since you sat a test, English is not your first language, or you have struggled to keep up with your studies then following some simple steps can radically improve your chances of passing. Go through and answer all the questions you are certain about. Questions you are unsure fill in the answer sheet with your best guess (you can change it later on if needed), but if you run out of time at least you have an guess. Do not get bogged down at this point any question you are unsure of mark the exam question sheet with a ? margin. Also mark the question paper with basic notes on the question sheet to help you later on, such as a light line through obviously wrong answers or underline a key point. After your first cut through, move onto the short answer questions. Aim to allow 15 minutes per question. If you have time go back through the multi-choice questions you marked with a ? Read the question carefully and cross out answers you know are wrong. Make sure the exam reflects the best answer you can. If you still have time go back through your short answer questions. read the question carefully and check your answer reflects the question. Finally, make a final pass through the short questions not marked with a "?". Often silly mistakes can be spotted in the answers you were most confident about. The Unit 2 exam comprises of a blind tasting of two wines. If you have done your tasting with ThirtyFifty then the extra document 'Decoding the WSET SAT' will mean you should know the examiner's marking criteria in detail. Other APP's may have their own methods of communicating this. Many students have not had their ability to smell examined before. They are, of course, very nervous about this. Please remember that aromas & flavour characters are 5 marks for red wines or 6 marks for white wines marks out of 25. This is important but manageable. Focus on the easy 19-21 marks. Remember that unless you have abused the system there are not negative marks for writing too much. For example if you think the wines smells of red fruits but you are not 100% certain, then don't panic, list all the likely red fruits. This is acceptable. Note the examiner needs to alert the examining body if we think the student is simply guessing randomly. If you have sat the course with ThirtyFifty you will know exactly how we will mark, based on measurable values in our 'Decoding the WSET Level 3 SAT'. Otherwise it is essential to make sure that you have worked out how your examiner tastes. The text book does not give explicit values for many parts of the SAT. This is sensible, for example different countries may have different price levels so a book designed for multiple countries can not reflect a single country. However we are aware that in some instance where multiple tutors teach a single group and they have differing views. This can create a lot of uncertainly about exact levels. So where a number of course experts assist in the tutoring it is essential you match your tasting values against the examiners. If you do not manage to pass the paper the first time either with ThirtyFifty or another provider, we do allow students to resit the exam with us for a fee of £90 for one paper or £110 for both papers. The dates below are the next available courses with the exam being held on the final day of the course.